When a child stays in a place that is part of the child’s routine, such as school, departure time is often predictable. 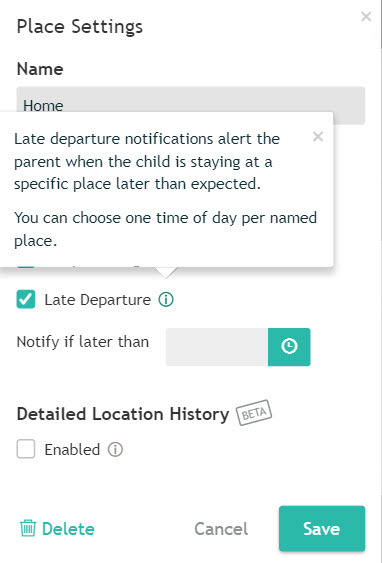 The parents can now set a late departure notification time that will trigger a notification whenever the child does not depart by the designated time. 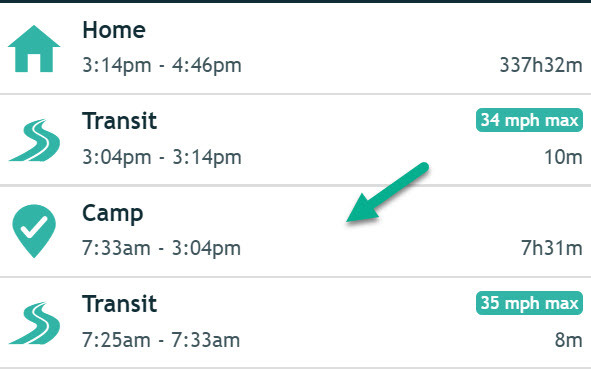 Click on the pencil icon on the right hand side of the status bar. 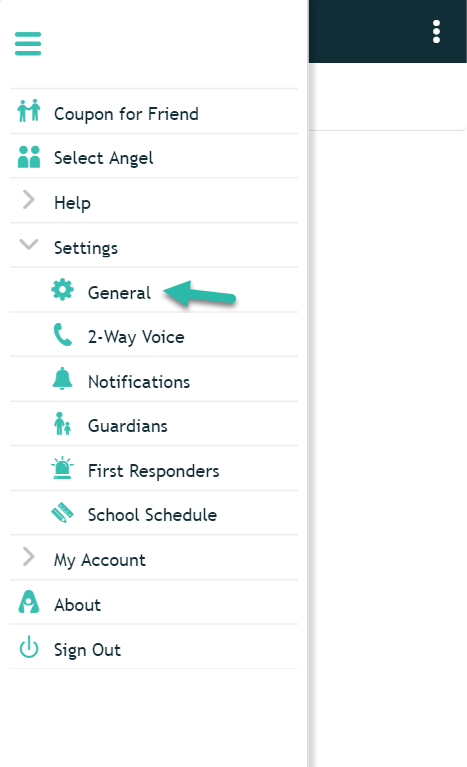 Go to your Menu on the left hand side and click "Settings" and "General"
Similar to Arrival/Departure, the user can choose email and/or mobile notifications. The selected channel[s] will be used on all occasions of late departure. 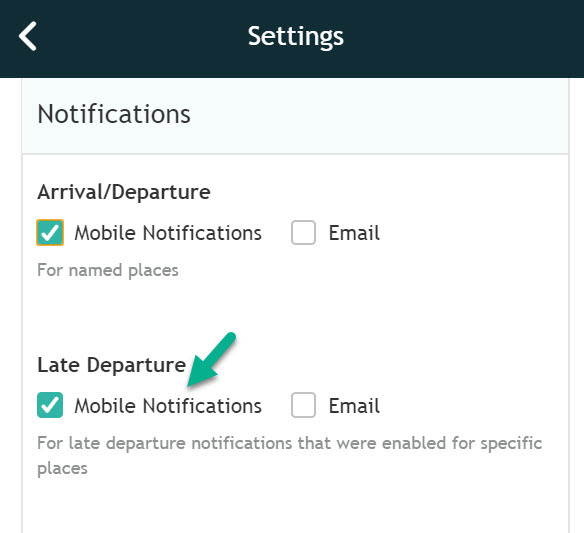 What is Early Warning Mode?